This time, HTC will be taking the charge and stepping- in for manufacturing the devices. 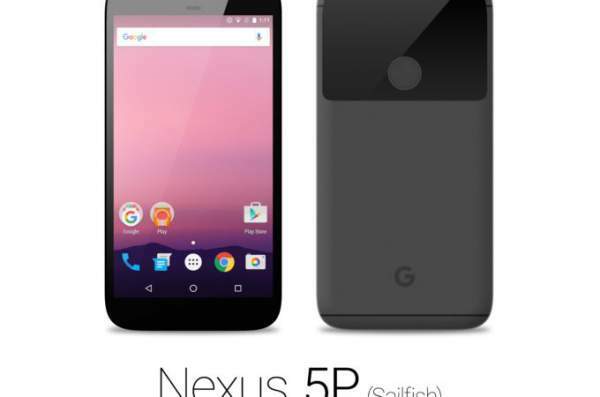 Sailfish is the next update of Nexus 5x. Over the specifications, Sailfish comes with 5.0 inch full HD touchscreen with 16M colors. The resolution of the display is 1920 x 1080 pixels. Sailfish is powered by a quad-core CPU @ 2.1 GHz (Qualcomm Snapdragon 820 (2xKryo @ 2.1 GHz + 2xKryo@ 1.6 GHz-ARMv8)). The GPU of the phone is Qualcomm Adreno 530. The company is providing OpenGL ES 3.2 as the OpenGL API. The memory (RAM) of the system is 3.7 GB. This product will run on Android OS Nougat v7. It is also expected that the device will be powered by a 3,450 mAh battery. It can be called the drawback of the smartphone that it is a Single-SIM device that means that the device only holds a single SIM in the phone. Regarding the camera, the phone has a primary camera of 11 megapixels which clicks the image at resolution 4048 x 3036 and records a video of UHD at 4k with a resolution of 3840 x 2160. The primary camera supports autofocus, face detection, flash, and touch focus. The front camera has a lens of 7 megapixels which clicks an image with a resolution of 3264 x 3036 and records a video with a resolution of 2592 x 1944. The device features an accelerometer, barometer, light sensor, gyroscope, pedometer, compass, and proximity sensor but there is no altimeter, heart rate, and thermometer which were expected to come with the Sailfish. The smartphone also supports WiFi, Bluetooth, GPS, and NFC. Also, a similar 5.5 inch Nexus phone code-named Marlin is also expected to launch with this Sailfish. This device also features a 2K screen resolution and a battery of 3,450 mAh. This also runs on Android N OS. In November 2015, Nexus 5X was launched by LG with Android Marshmallow v6.0 and Snapdragon 808 as the primary processor. This will make the product really amazing and will develop the craze for the device among the customers. Talking about the craze, people love Nexus series, and this series will always excite their users. Let’s wait for the launch of the device and hopes that an affordable device with such great specs hit the market. For more updates, Stay tuned.